Opening for the 2019 season on March 29! 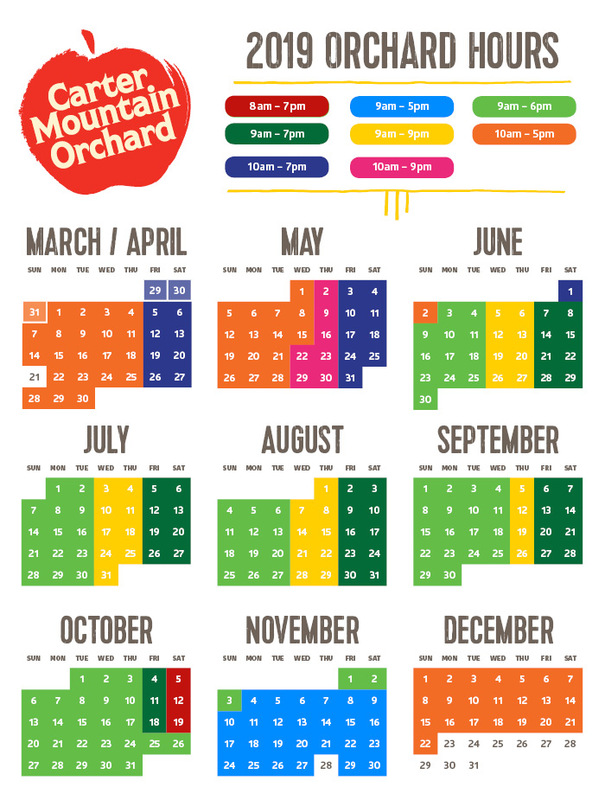 We ask that you arrive at least one hour prior to our closing time if you wish to pick your own fruit (in season). Hours of operation can change due to extreme weather. If in doubt, please call us or check our Facebook or Twitter pages for the most updated information. Please abide by our posted hours of operation—no trespassing before or after hours. Thank you! Fall weekends are very busy on the Mountain, visit during the week if you can!